Strand At Bay Colony Pelican Bay Homes: Among the unsurpassed beauty of the The Strand and the sugar sand beaches of Bay Colony sits The Castle by the Sea. Steps from all the amenities of the private Bay Colony Beach Club and the Ritz Carlton Beach resort, this homes offers all the best that Naples has to offer. Exclusively set among 12 private residences, this private, secure home and gated community sit directly on the Gulf of Mexico. This four story estate has all the exquisite finishes and amazing views to match from every level in this home. With endless views out and over the infinity edge pool, your views will never disappoint. Classic architecture, a large gourmet kitchen, wine cellar, and endless outdoor and entertaining spaces. The garage accommodates parking for five vehicles with ample storage for water toys as well! Come see the best that Naples, Pelican Bay and Bay Colony Beach has to offer, your endless sunsets await! Strand At Bay Colony Pelican Bay Homes: H.8606 - This extraordinary beachfront estate embodies all the luxurious qualities that one would expect to find in a home of this magnitude plus much more. Offering 129’ of beach frontage this 10,345 S/F residence was recently renovated with such enhancements as a state-of-the art Clive Christian kitchen and luxuriously updated sumptuous Master Suite with sweeping views to the south, fireplace plus office/sitting room. Designed by David Humphries and built by Kurtz Homes in 2002, this estate is finished with a warm understated elegance and quality expressed in light marble and mahogany floors, coffered ceilings and maple millwork detailing throughout. Other highlights include living room with hand carved Mexican limestone fireplace, two story formal dining room, summer kitchen and beach side pool. Additional features include a 4,000 bottle wine room, home theater with Crestron system, library with two-story beamed maple ceiling and fireplace. Set against a dramatic Gulf of Mexico scene that permeates the entire house, this masterfully crafted residence is undoubtedly one of the “Crown Jewels” on the coast of Naples. Strand At Bay Colony Pelican Bay Homes: Coastal contemporary Gulf-front estate with 132 feet of pristine beach frontage, expertly recrafted by BCB Homes in the Strand at Bay Colony, Naples’ most exclusive gated enclave. Breathtaking vistas of the Gulf of Mexico and preserve. Beautifully designed grounds with manicured lawns and lush gardens. The 7,342 sq ft furnished residence includes 5 bedrooms, 6 bathrooms, spacious living and dining areas, gym and media room on 4 levels. Bright and airy throughout, with floor to ceiling windows, custom millwork, tasteful marble and wide plank hickory floors. A gourmet kitchen features quartz and mahogany countertops, custom cabinetry and chef’s appliances. The family room and breakfast area open to a Gulfside pool, outdoor kitchen and covered dining. The 4 en-suite guest quarters, including a private cabana, offer unparalleled luxury for visitors. A full floor master suite features oversized sleeping area, fireplace, breakfast bar, marble bath, custom closets, and office. Hurricane doors and windows. World-class amenities include restaurants, gym and spa, tennis courts, and optional golf club membership. Arguably the most stunning beachfront home available in Southwest Florida. Bay Colony Shores Pelican Bay Homes: An architectural masterpiece in the heart of Bay Colony. This estate home created by Jeff Harrel and masterfully crafted by Kurtz Homes boasts unparalleled specifications. Nestled into the most desirable estate site in The Shores with unsurpassed lake views. The impeccable interior captures the ultimate in custom finishes throughout. Encompassing 7,500 square feet in the main home featuring beautifully scaled sun-flooded living rooms for entertaining in addition to a spectacular library and Culinary kitchen with butler’s pantry all leading to the outdoor living area with fireplace, sensational pool, spa and all-inclusive features of a world-class resort. The breathtaking Master suite with its own sitting area, fireplace, fitness room, his/ her own private baths plus three additional suites offer comfort and privacy for all. A secluded guest retreat tucked on its own featuring a kitchen, hobby room and two balconies. The private cul-de-sac setting and the circular drive share the impressive gated entry into the exclusive Motor Court, a minimum of six expansive garage spaces, brick pavers and colorful bougainvillea creating a charming ambiance throughout this estate residence! Georgetown Pelican Bay Homes: Tucked away inside the gated enclave of Georgetown, Pelican Bay is this architecturally inspired new construction estate home nestled on the golf course. With a soft contemporary design, this 6,150 square foot under air masterpiece will leave you in awe. Boasting 5 spacious, en-suite bedrooms and a private office, 7 bathrooms, 4 living spaces, 4 dining spaces and a highly-coveted open floor plan with privacy options throughout. With artistically exceptional ceiling details, quality craftsmanship, custom cabinetry, and the stunning views of the 50-foot pool and golf course. Furniture package provided by Calusa Bay Design available for separate purchase. Ideally located, just moments from Waterside, Artis-Naples, Mercato, and the beach. Pelican Bay offers a truly compelling list of lifestyle features: 570 acres of mangroves and estuaries, 43 acres of parks, recreation areas, beachfront facilities and boardwalks, three miles of private beach with beachfront dining, 27 holes of championship golf and 18 HarTru tennis courts divided among two complexes. The brand new, state of the art two-story clubhouse provides enhanced experiences for members in all aspects of dining, golf and social. Bay Colony Shores Pelican Bay Homes: Undoubtedly one of the finest waterfront homesites in The Shores located within the prestigious gated community of Bay Colony. This stunning home with commanding curb appeal has been extensively and impeccably renovated and is completed in a subdued casual palette. With 6,353 sq. ft. of inside living comprised of 5 bedrooms, 6 full and 2 half baths, office, family room and 1,400 bottle climate controlled wine cellar. The attached 2-story cabana has 2 bedrooms, 2 baths, its own private entrance plus a screened leisure area. The Kitchen is a chef’s dream that opens to the large family room and breakfast area. 2nd story master retreat with elevator boasts his and her baths with custom closets and its own balcony to view the beautiful sunsets. For your lavish outside entertaining, you and your guests will thoroughly enjoy the large pool, spa, outdoor kitchen with sunshades. This home is a must-see! Please see the attached list of renovations. Pelican Bay Woods Pelican Bay Homes: Classic elegance exudes from this new residence by Werchek Development. Gracious and warm lines & design that transition from the exterior to the interior. Superbly private near 1/2 acre lot with tropical lansdcaping to capitalize on views & surroundings. Penned by MHK, the fllor plan creates luxurious yet cozy environs for both everyday living & entertaining. Divine master suite with: adjacent sitting area overlooking pool & rear grounds; sun-drenched zen spa bath; in-suite juice / morning bar; full laundry; dream master closets - hers a sensational 14' x 16' replete with huge island & custom cabinetry and his 12' x 8' with handsome custom cabinetry & finishes. Grand central core of home with living, dining, and kitchen flowing onto each other. Unique combo glass enclosed wine cellar & wet bar central to core. 26' of Euro doors opening onto outdoor kitchen, pool and & views of resort executed lighting and multiple fire features. Guests will not want to leave the inviting main floor guest casita with sitting area, walk-in closet, & deluxe bath. Back hall / mud room with 2nd laundry, walk-in pantry, & cubbies. 2nd floor. . . 4 garage stalls. Much more & simply divine! Pelican Bay Woods Pelican Bay Homes: UNDER CONSTRUCTION...Premier Builder BCB Homes..Tropical, Transitional Ranch style home that is complimented by natural stone accents, stained mahogany brackets and corbels and a multi-colored flat tile roof. The architectural by Cooney Stofft and the focal point is the grand entry tower that will allow natural light to move into the home via the large transom windows above the door. The interior is designed by Renee Gaddis Interiors, one of Naples premier designers and is a mix of clean lines, which make it more contemporary, and a traditional flair to warm up the home. A true chef’s kitchen with top appliances and open floor plan to the rest of the living area. Purchase now to make any adjustments and truly enjoy your home! Vizcaya At Bay Colony Pelican Bay Homes: The epitome of perfection in Vizcaya! This is an impeccable architectural masterpiece nestled into the lush tropical ambiance of Clam Bay, capturing wildlife, captivating sunset skies and ultimate privacy. Encompassing over 5,270 square feet of gracious living, this one-of-a-kind Vizcaya residence boasts only the absolute finest specifications and attention to detail with the total renovation. Light, bright and airy interior includes a spectacular gourmet kitchen, family room, living room, soaring ceilings, custom library, spacious master suite nestled over the bay with three additional guest suites. The exterior lanai is exceptional in all respects including a spectacular private pool. Exquisite interior renovations with complete attention to every detail. Secure living with a brand new roof and hurricane-rated windows and doors. Situated in the heart of Bay Colony, simply a stroll to your own exclusive private beach and tennis club. Enjoy Pelican Bay's finest beach amenities, fitness center, tennis, as well as the renowned Waterside Shops and Philharmonic for the Arts. A true masterpiece inside and out! Pinecrest At Pelican Bay Pelican Bay Homes: Spectacular newly constructed estate home on a cul-de-sac lot in Pelican Bay, this contemporary coastal home radiates luxury and comfort inside and out. The exterior reflects clean coastal lines softened by natural wood elements. Inside, 10-foot solid wood entry doors lead to a huge great room and open-concept island kitchen that share a vaulted ceiling with rich wood beams. From there a seamless transition through massive walls of pocketing glass brings you to sprawling outdoor living and pool areas. The home offers 4 bedroom suites, 4 full and 2 ½ baths, study, billiards and wine rooms, and 4-car garage. Features, too many to list entirely, include Andersen impact doors/windows, Legno Bastone floors, LED lighting, lighting control system, home automation/security, linear fireplaces, generator, outdoor kitchen with bar, fire and water features and electric shutters. In the kitchen are solid wood custom cabinets, quartz countertops, Sub-Zero and Wolf appliances, Viking stove and butler’s pantry. Don’t miss this magnificent home in Pelican Bay where residents enjoy unrivaled amenities including private beach access, beach club, restaurants and more! Barrington At Pelican Bay Pelican Bay Homes: H.13951-Multi-MILLION DOLLAR REMASTERED MODEL PERFECT Custom Estate JEWEL! This exquisite home is essentially a new construction property, due to TOTAL 2017 Re-Mastering from top to bottom, floor to ceiling & wall to wall! Every system replaced & every feature gloriously redesigned, hosting a happy menu of sumptuous appointments. This Jewel offers a clean, classic, front elevation which belies the height & size of its marvelous interior, as well as its multi-Million dollar golf course setting! Step through gracious mahogany double-entry doors & be welcomed by the inviting interior, showcasing 15’ grand salon ceilings, Anderson A-400 hurricane rated doors & windows, custom fireplace, coffered ceiling, designer lighting, & Legno Bastone wide plank flooring. French doors flow gracefully onto outdoor verandah boasting marble deck, salt water heated pool/spa, generous summer kitchen & sun-filled garden, all reflecting a true Florida-style outdoor living experience. A show-stopping fabulous custom-crafted chef’s kitchen w/Ruffino cabinetry, Sub-Zero/Wolf appliances & marble counters easily flows to the family room w/full wall hardwood media center, custom ceilings, moldings, & lighting. Oakmont Pelican Bay Homes: Stunning, show stopper corner property. This 2019 new construction is one you will want to see. As you enter this beautiful, bright home you can not help but notice the eye catching marble floors, open floating staircase, soaring tray ceilings and large Andersen impact windows. No detail was overlooked here. The gourmet kitchen is outfitted with wolf appliances, sub zero, lots of cabinet space, pantry, wine cooler along with cristallo quartz counter tops throughout. The home offers 4 very generous size bedrooms, four and a half baths and a 3-car garage. For your convenience there are two laundry rooms one upstairs and one down. Extend your entertaining outdoors with a drop dead gorgeous floor to ceiling marble fireplace alongside and impressive outdoor kitchen, salt water pool, spa and decorative fire feature. You will also find a 1 BR guest house for the overflow of guest. Pelican Bay is one of the most sought after locations. 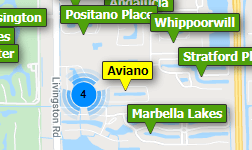 You are just blocks away from Waterside Shoppes, dining and Artis Naples where you catch a broadway show. Or just take the tram to the beach where you can have lunch at one of the two restaurants or just sun bath all day. Pelican Bay Woods Pelican Bay Homes: Brand new construction completed in 2018. This unique island inspired home features a spacious great room upon entry with soaring ceilings and eye catching beam details. A gourmet kitchen with top of the line Wolf and Sub-Zero appliances and 13’ quartz island. The well thought out floor plan offers 4 bedroom suites with a split master, a study and bonus room. Entertain or relax in an incredible outdoor living space including a pool with spa and sun shelf, outdoor kitchen, media and surround sound. Every detail was well thought out by an award winning design team including Andersen impact glass windows, home automation systems, engineered wood flooring, a feature fireplace, wine room, and three car garage. Located within the heart of the prestigious PELICAN BAY community of Pelican Bay Woods. Just a few minutes from Waterside Shops, the Artis and the beach with membership to the private Pelican Bay Beach Club, full access to two restaurants and bars, tennis courts, clubhouse and fitness center. Membership to the Pelican Bay golf club is available through separate application and payment of fees. Pelican Bay Woods Pelican Bay Homes: This charming beach cottage retreat is simply the coolest cottage style home you will see this season. It’s casual beach living at its finest! The open concept floorplan includes a great room, club room, dining room, playroom or office, 4 or 5 BR, 4 1/2 baths all adjoining a fantastic outdoor living space with outdoor kitchen, huge resort style pool and spa, and spacious, private, beautifully landscaped yard. The chef's kitchen with custom cabinetry and large island features Wolf and Subzero appliances, and great pantry storage. The many design details and built-ins throughout the home combined with a charming casual furnishing package by Calusa Bay Design make this the best beach cottage retreat of the season. Completely remastered by Knauf Koenig Group and Calusa Bay Development, this home is sure to please even the most discerning buyer. Moments from Waterside, Artis-Naples, Mercato, and more. Pelican Bay offers 3 miles of sandy beach, 2 beachfront clubs with dining and beach service; competitive tennis and the brand-new Club Pelican Bay featuring 3 award winning restaurants, 27 holes of golf, fitness center and spa. Pointe Verde Pelican Bay Homes: ABSOLUTELY STUNNING ESTATE HOME IN PELICAN BAY'S HIGHLY DESIRABLE GATED & SECURE ENCLAVE OF POINTE VERDE. OVER LOOKING THE GOLF COURSE AND LAKES YOU WILL FIND LUXURIOUS FINISHES THROUGHOUT. EXPANSIVE LIVING AND DINING GREAT ROOM WITH FIREPLACE. LARGE SPACIOUS MASTER SUITE WITH GORGEOUS MASTER BATH, TWO GENEROUS WALK IN CLOSETS AND DEN. THREE VERY PRIVATE GUEST SUITES EACH WITH ATTACHED FULL BATH. PLUS 3 ADDITIONAL HALF BATHS. GUEST CABANA WITH BEDROOM/BATH SUITE AND SEPARATE LIVING ROOM WITH KITCHENETTE AND PRIVATE ENTRY. UPSTAIRS MEDIA ROOM OR SECONDARY DEN/OFFICE. HUGE FAMILY ROOM OPEN TO THE KITCHEN WITH EAT IN DINING AREA AND BREAKFAST BAR. THE RESORT POOL AND SPA ARE MAGNIFICENT WITH LOVELY GATHERING AREAS FOR ENTERTAINING, OUTDOOR KITCHEN, BAR, GRILL AND BEAUTIFUL TROPICAL PLANTINGS. DESIGNER LIGHTING CREATES A MOOD OF PURE PEACE AND TRANQUILITY. ALL THE FIVE STAR AMENITIES OF PELICAN BAY INCLUDED SUCH AS TENNIS, BEACHFRONT DINING AND THE STATE OF THE ART FITNESS/LIFE CENTER. THIS IS THE VERY BEST OF THE FLORIDA LIFESTYLE! Vizcaya At Bay Colony Pelican Bay Homes: Tucked into the charming Vizcaya neighborhood of Bay Colony, this spectacular villa is nestled into the perfect setting capturing the utmost in privacy by the bordering lake, fountains and gazebo. Boasting an interior of all new architectural details featuring incredible custom pecky cypress millwork, stone flooring throughout, soaring ceilings and high arched windows surrounded by an exterior of tropical landscape with coconut palms, brilliant bougainvillea and beds of colorful flowers which enhance the private pool retreat. The extraordinary decor of fun naturals and neutrals along with accents of stone encompassing over 3,700 square feet with a stunning master suite and library with full bath (or fourth guest suite) on the main level along with two additional guest rooms, two full baths and loft enjoying their own privacy on the upper level. Capture the ultimate lifestyle of the finest guard gated community of Bay Colony situated directly on the Beach in Naples while enjoying your very own private Beach Club with fine dining along with full beach service, barbecues and poolside “Chickee” as neighbors gather! Barrington At Pelican Bay Pelican Bay Homes: Nestled in the heart of Pelican Bay this perfect home for entertaining encompasses 3,262 square feet, air conditioning, four bedrooms and three and a half baths. Completely remodeled in 2016 state of the art new gourmet kitchen with top of the line gas Wolf appliances. Architectural designed cabinets throughout, custom built-in TV Family room with gas fireplace, impact glass windows and sliders, brand new plumbing. The new features include new electric wiring, air conditioning and gas hot water tank, beautiful outdoor gas grill with kitchen, new saltwater pool and deck, Italian porcelain plank floors, custom mahogany wood front door and brick paver circular drive. The home comes with brand new top of the line furniture. Enjoy Pelican Bays Private Beach access and Beach Restaurants along with 18 Tennis Courts, Private Fitness Center all just steps away from Naples Finest Shopping, Fabulous Restaurants and Naples Philharmonic For the Arts. Vizcaya At Bay Colony Pelican Bay Homes: Nestled into the heart of the exclusive beachside community of Bay Colony, this charming Vizcaya Villa is tucked into the tropical setting laced with colorful bougainvillea. The timeless architectural design boasts approximately 3900 square feet of spacious interior living in addition to the outdoor lanai with private pool and courtyard savoring expansive lake views. The delightful interior design offers light bright and airy living areas, gourmet kitchen along with four bedrooms and a full library with bath. All new tile roof and hurricane windows. Villas in Vizcaya live like a single family home complemented by exterior maintenance provided by Signature Services. The guard gated community offers the utmost in security, ultimate in privacy and unsurpassed amenities of Bay Colony and Pelican Bay. Capture the first class lifestyle, private beach club and tennis club. Isle Verde Pelican Bay Homes: This one of a kind expansive villa lives as a private estate. The home is secluded on the largest lot in Isle Verde, situated on a lovely corner lot with multiple golf course and lake views. It is secured behind it's own private gate in addition to the 24 hour guarded gate. The home boasts soaring ceilings and an extensive renovation complete by renowned London Bay Homes. Interior features include Italian wood floors, limestone counter-tops, and a Lutron lighting system throughout. Exterior features include plenty of space for entertaining and living with a huge courtyard and multiple patios and lanai to enjoy the beautiful golf and lake views. A huge glass tiled lap size pool and spa. The two story guest house has two separate suites with kitchenettes and private baths.In addition the home has a rare 3 car garage and extra parking. All of this makes this property a hidden gem in Isle Verde. Isle Verde is located in the heart of Pelican Bay, which offers 3 miles of beach with private beach access and two beachfront restaurants. Sailing, kayaking, canoeing, state of the Art gym and spa, 15 Har tru tennis courts and walking paths throughout. Villa La Palma At Bay Colony Pelican Bay Homes: This is a rarely available and much sought-after four-bedroom, four-and-a-half-bath villa with over 3,700 square feet of luxury living. The open kitchen, breakfast area and family room lend itself to entertaining. This home features a brand-new roof, high ceilings, hardwood floors, raised panel cabinets and granite counter tops complete with a very pleasing décor. A private, southwestern exposure pool and spa overlooking serene waterscape views completes this residence. Vizcaya At Bay Colony Pelican Bay Homes: Nestled into the heart of the exclusive waterside community of Bay Colony, this charming Vizcaya Villa is set into a tropical setting laced with colorful bougainvillea on an exceptional site capturing a spectacular long lake water view. This villa boasts over 3,400 square feet of spacious interior living and totals approximately 4,200 square feet. The interior of perfection includes beautiful marble flooring, a gourmet kitchen, along with the delightful custom interior finishes. This residence features timeless interior design with soaring ceilings and a custom wet bar, along with a spacious lanai, pool and spa. Enjoy two guest suites and a magnificent library or office or enjoy three full bedroom suites. The two-car air-conditioned garage is complete with custom storage. This secure, guard-gated community offers privacy and unsurpassed amenities. Private membership is available for the avid golfer to tee off at the Estates at Bay Colony Golf Club as well as The Club at Pelican Bay. Capture the ambiance of the first-class lifestyle, private Beach Club and Tennis Club, all inclusive in Bay Colony! Vizcaya At Bay Colony Pelican Bay Homes: Absolutely charming Vizcaya Villa! This little jewel possesses the utmost in perfection. The masterfully created architectural interior has been fully renovated and opened up to enjoy the casual lifestyle inherent in the guard gated beachside community of Bay Colony. Residents enjoy the ease of this one-story villa encompassing a spacious living area of 2,690 square feet. In addition, the spacious screened lanai and refreshing pool acquire a total of over 4,000 square feet. Incredible expansive lake views and water features overlooking the Gazebo in the heart of Vizcaya is mesmerizing! The great room floor plan with a gas fireplace is open and airy featuring a spectacular state-of-the-art gourmet kitchen, family room, dining room along with a spacious master suite and two guest bedrooms and baths. Savor the unsurpassed amenities of Bay Colony, including the private Bay Colony Beach Club with full beach service, private dining for members and their guests, fabulous tennis Club in addition to extraordinary amenities that Pelican Bay has to offer! Life is good in Bay Colony, enjoy it! Cocobay Pelican Bay Homes: V.2785- Urban sophisticated décor! Breathtaking entry awaits you in this courtyard villa! Lushly landscaped with climbing bougainvillea provides the utmost privacy. Recently updated throughout! New vaulted ceilings, Espresso finished cabinets in kitchen, designer lighting, new exterior french doors, nickel door hardware, honed marble flooring, freshly painted interior, Sonos system & surround sound, updated landscaping, custom closet organizers, window treatments! Completely open floor plan! Family room is accented by a floating entertainment unit and art niches. Dining space is highlighted by large windows & custom chandelier. Great room provides ample seating for entertaining & access to outside. Open den area with corner built-in cabinetry & art niche is perfect for today’s mobile lifestyle. Owner’s suite has rich hardwood floors, volume ceilings, TV & art niche & custom closet. Owner’s bath is complete w/ dual sinks, private water closet, walk-in shower & spa tub for pure relaxation. 3 additional guest suites under roof w/ hardwood floors & separate access to the outside! Great storage. Rarely found 3 car garage! Located across from the North tram station in Pelican Bay. Need professional assistance selling your property at Pelican Bay Naples? Find out how an Area Specialist can help to generate more property exposure in order to get the most money for your investment in the least amount of time.